Up close and personal Brown bear portrait. Nikon D700, Nikon AF-S Nikkor 500mm f/4G ED VR, 1/800th sec, f5.6. ISO 1250. Manual mode. Jobu gimbal head. Carbon fiber tripod. 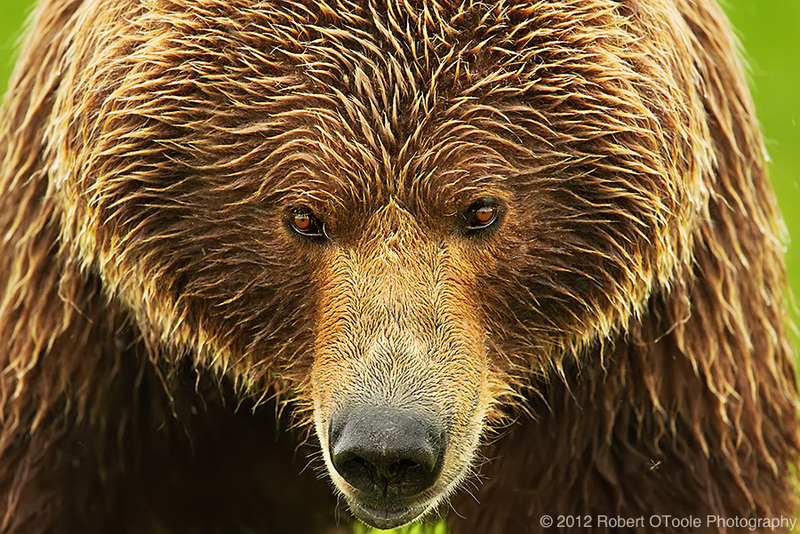 My 2012 Brown Bear tours have been sold out for some time but a single opening has become available. The tour locations inside Katmai NP in Alaska are some of the best brown bear locations on the planet. We will be boat based and will be able to enjoy at least 2 photography sessions per day. This is the best time of the year for weather and chances for bears fishing for salmon. Let me know if you can join us.